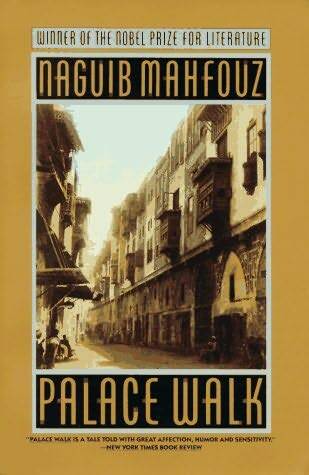 Palace Walk is the first novel in Nobel Prize-winner Naguib Mahfouz’s magnificent Cairo Trilogy, an epic family saga of colonial Egypt that is considered his masterwork.The novels of the Cairo Trilogy trace three generations of the family of tyrannical patriarch al-Sayyid Ahmad Abd al-Jawad, who rules his household with a strict hand while living a secret life of self-indulgence. Palace Walk introduces us to his gentle, oppressed wife, Amina, his cloistered daughters, Aisha and Khadija, and his three sons — the tragic and idealistic Fahmy, the dissolute hedonist Yasin, and the soul-searching intellectual Kamal. The family’s trials mirror those of their turbulent country during the years spanning the two world wars, as change comes to a society that has resisted it for centuries.